You get to be the censor of a movie scene or clip. Choose a sound effect or dialogue you want to substitute for a recurring phrase or expletive, or over-used character speech and use it at the appropriate moments in your movie. This is five stars, so you need a movie scene or clip longer than 2 minutes. As the quote from the DS106 page suggests, this tas was worth five stars at the time of selection, and since this week’s assignments have an eight-star minimum, I need all the help I can get. 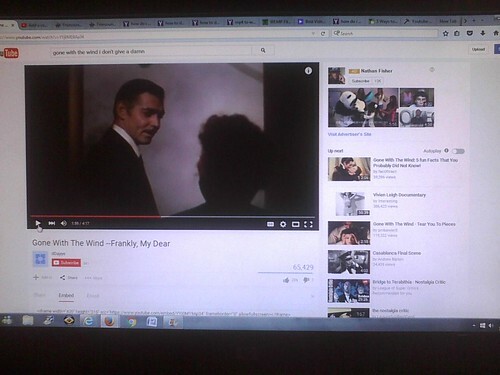 Hopefully, I can get through this week without finding myself…gone with the wind. You’re probably wondering why I’m going after the highest-grossing film of all time – period – after I dragged Casablanca through the mud earlier this semester. Well, since this class is all about creativity, I figured that if you can’t cause controversy, you can’t be called creative. So, I decided to see if I could bleep out any not-so-naughty words in Gone With the Wind, whether this timeless treasure needs it or not. 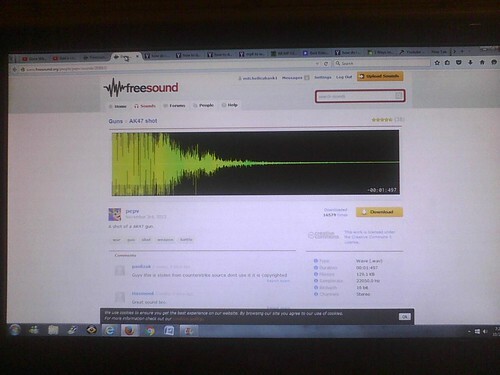 Trying to find the alternate censor, as well as the movie clip to censor, were pretty tough, all things considered, but after stumbling across the clip above on YouTube, and finding a clip of an AK-47 going off on FreeSound that was not only available, but in the public domain, as well, all I needed was a site to download the clip. Keeping that in mind, a visit to WikiHow introduced me to a website called KIBase, which let me download the clip, in its entirety, for free. 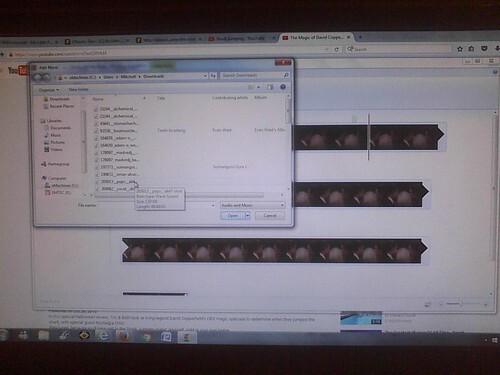 All I had to do was look up the video’s source code on YouTube, copy it from start to finish on KIBase’s YouTube Downloader page, save the downloaded file, and let everything else come down to a few minutes on Windows Live Movie Maker.